Golf del Sur - Tenerife South: Our ‘Aparthementhoth Ethpanyole’. After spending a really enjoyable 2-night stopover in Girona, Spain we continued our journey to our principal destination – the Canary Islands. 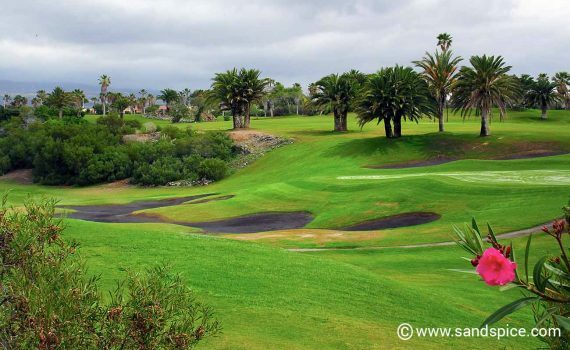 Our first introduction to these islands was the Golf del Sur – Tenerife South. We planned to spend 3 nights in Golf del Sur in a self-catering apartment on the southern coast. Although we’re not golfers ourselves, the lush Golf del Sur golf course is right on the doorstep. 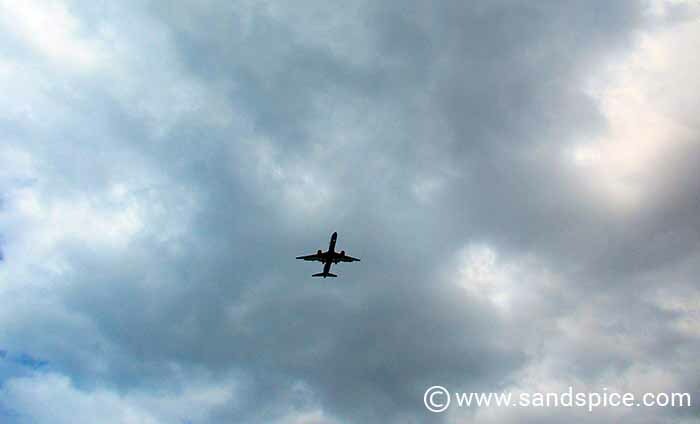 Our evening flight from Barcelona got us to Tenerife South just after midnight. We took a metered taxi to Golf del Sur, and paid a very reasonable fare. Just as well since there are no buses after midnight. We had a booking at the Grand Muthu Golf Plaza. Quite a good deal at €102 for 3 nights based on 2 sharing, excluding breakfast. However with a name like that I wouldn’t have been surprised if Samual L. Jackson had been there to greet us at reception. We were given a decent sized room with fully-equipped kitchen and balcony. Nothing to complain about here. All in all we were quite happy with our ‘Aparthementhoth Ethpanyole’. Just around the corner from the hotel is a 24-hour mini-market where you can purchase most essentials. A 15-minute walk downhill from the hotel takes you to the main promenade and beaches. The beaches are all volcanic stone and black sand, and in May the water is just a little too fresh for swimming. You can find plenty of snack bars offering all-day breakfasts along the promenade, and there is a good selection of very reasonably-priced restaurants. Just outside the entrance of the Grand Muthu Golf Plaza you can find a bus stop. From here you can get buses to the main bus terminal at Los Christianos. From Los Christianos you can then get an onward ride to anywhere on the island. However, you’ll need to be patient: The buses don’t run too frequently between Golf del Sur and Los Christianos. There are also two types of buses: Standard buses and Express buses. The standard buses stop everywhere, and take twice as long as the Express buses (but the prices are the same). …was about as far as I got before my tongue started to swell up. We got quite familiar with our bus stop. Three days later we would be taking another bus to Los Christianos for our onward journey to Puerto dela Cruz in Tenerife North (€14.50 per person, one-way). With only 2 full days in Golf del Sur, we wanted to make sure we chose the right places to eat in the evenings. Before arriving, we’d made a shortlist of 4 highly recommended restaurants in the area. 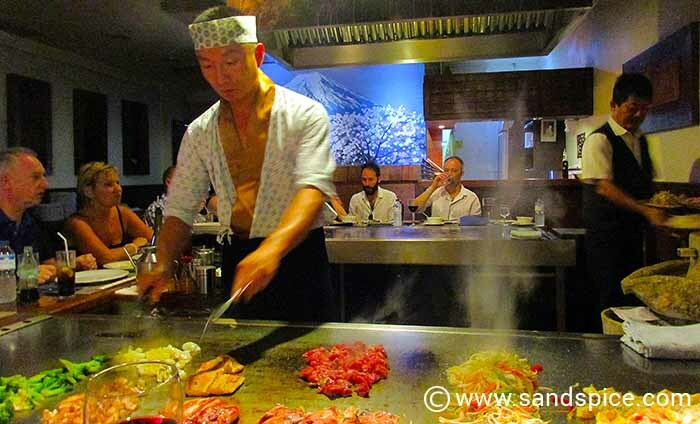 The Sakura Tiepanyaki restaurant is located close to the seafront, just off the Golf del Sur promenade. The restaurant specializes in a Japanese style of hotplate cooking. The word tiepanyaki is derived from ‘teppan’, which means iron plate or steel sheet and ‘yaki’, which means grilled or stir-fried. A live cooking show is performed by the chef right in front of you – a very entertaining and mouthwatering way of eating. Our meal together with a bottle of red wine was exceptional value at €48 for the two of us. 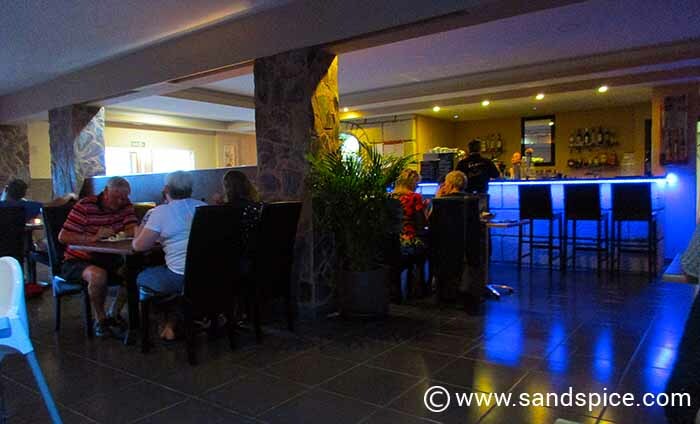 Tapas n Chill is located a small distance inland from the promenade. It is a popular restaurant so you need to arrive early to get a table. We enjoyed a tasty selection of tapas accompanied by a bottle of local wine for just €36 for two. During our short stay in this southern area of Tenerife, we wanted to visit Siam Park (the No 1 Waterpark in the world!) 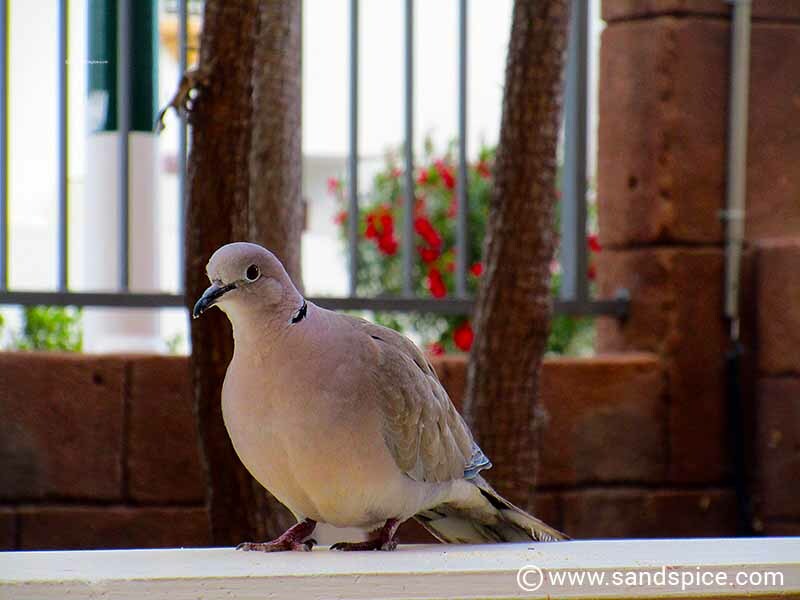 and take a look around Playa las Americas – the so-called party capital of Tenerife.